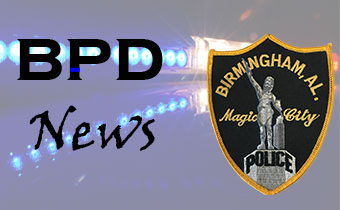 Welcome to the Birmingham Police Department’s website. The men and women of the BPD are committed to providing the best professional law enforcement services to the citizens of our great city. I invite you to browse through these pages by searching our site above. Please contact us with any ideas or request for additions to our website. Interaction with the community is at the heart of the Birmingham Police Department. We love our citizens and continuously strive to build healthy relationships in an atmosphere that is conducive to positive growth, awareness and safety. The Community Service Division’s involvement with the citizens of Birmingham range from grade school students to adults. For more information on our community based programs, please click this link. Birmingham Police Chief Patrick D. Smith announces Darnell Davenport as a new Deputy Chief of the Birmingham Police Department. Deputy Chief Davenport will assuming the command of Patrol Operations and replace former Deputy Chief, Michael Richards. Deputy Chief Davenport comes to Birmingham with 30 years of law enforcement experience with the Los Angeles Police Department.